After two miserable performances by the Scottish national team in Kazakhstan (0: 3) and in San Marino (2: 0), the ball rolls in the Scottish Premiership this weekend. The absolute highlight of the 31st game day is certainly the Old Firm Derby on Sunday between Celtic and Rangers, about which the betting base also informs as usual in detail. Before that on Friday climbers Livingston (8th, 38 points) will face capital club Hibernian (6th place, 45 points). With Liam Kelly (Livingston) and Marc McNulty (Hibs), the two opponents from Friday evening also provided two national players, but had little or no share in both results. At Almondvale Stadium, both will still be back in the lead roles. McNulty has scored six goals in seven Premiership matches since his loan from Reading. He will probably appear on Friday, one or the other time in front of the housing of “lion” -Locker Kelly. It’s almost certain that goals will be scored. On the one hand, Livi is extremely strong at home, on the other hand, the Hibs have an incredible run. In the summer Livingston returned after twelve years of abstinence in the highest Scottish league back. “Livi” made the ascent via playoffs. After the club slipped in the meantime due to downs, financial difficulties and bankruptcy to the fourth league, Livingston managed within six years, the return to the Premiership. Ascent coach David Hopkin did a small miracle and helped the Lion to two ascents in twelve months. Nevertheless, he decided against the Premiership adventure and left the club after three years in the direction of Bradford City in England’s League One, where he has since been released. Hopkins successor Kenny Miller was dismissed. The experiment as a player-coach went so wrong that already in August after two match days the ripcord was pulled. Meanwhile Gary Holt is coach in West Lothian. Holt will not be able to build on the big time under the current conditions. In 2002, “Livi” came in third after the Old Firm teams Celtic and Rangers. The best placement ever. It was followed by a season in the UEFA Cup and two years later winning the League Cup, before the club again went down two years later heavily in debt. Currently the sovereign relegation is more than expected before the season. With 20 points ahead of the relegation place, the season goal has long been reached. 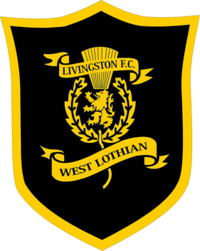 Livingston stands above all for home strength and standard goals. No other Premiership team has scored more goals after set pieces (penalty forward) than Livingston (14): four goals after corner, two direct free-kick goals, five goals after an indirect free kick and three goals after throw-in. Between Livingston and Hibernian our prediction is: Both teams to score. At home, Celtic (43 points) and Rangers (34) only scored more points than Livingston (29). However, Livingston lost six of the past ten Premiership games (2-2-6), the same number as in the first 20 games of the season (8-6-6). Nonetheless, “Livi” remains a power at home and won the recent two home games. Accordingly, Livingston vs Hibernian according to odds of the betting sites is not a favorite, unlikely success is not. If you exclude Ligaprimus Celtic, the Hibs under new coach Paul Heckingbottom are currently the team of the hour in the Premiership. Since the former Barnsley and Leeds coach started their job in the Scottish capital in mid-February, Hibernian is still unbeaten in the league (4-1-0). The only draw was at the beginning of March at home against the Rangers. As a loser from the place, the Hibs under Heckingbottom’s leadership still had to. In the FA Cup quarter-finals, the Hibs were beaten 0-0 on Easter Road series champion Celtic. Neil Lennon has recently become coach again after Nordire coached the Hibs for two and a half years before January 26, and the team surprisingly took fourth place last season, allowing the Hibs to participate in the Europa League qualifiers. However, the club did not live up to Lennon’s ambitious aspirations and lost numerous high performers in the summer, led by John McGinn, but did not invest in the scale required by Lennon and needed frameworks to once again claim a place between rank two and four. The first clash at Almondvale Stadium this season was won by Livingston 2-1. 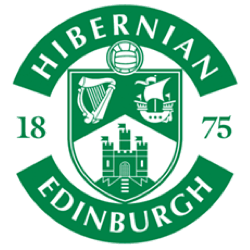 Two days before Christmas Eve there was a 1-1 between the two Hibs and thus only one of two draws in the past 19 Premiership duels of both teams (also in April 2003). Livingston only won one of the last 14 competitive games against the Hibs (1-2-11). The last victory of Hibernian vs Livingston was last season in the League Cup with 3: 2. The third best home team in the league is expecting one of the most formidable teams. Thus, in Livingston vs Hibernians the odds balance each other. The newcomer from West Lothian played so far a considerable season, while the Hibs lag behind their own claims. Under new coach Heckingbottom, however, there was still no defeat. The Hibs also have an attacker in impressive shape with McNulty. The Scot has scored six times in seven Premiership games since joining England. So it is not unlikely that between Livingston and Hibernian the tip “both teams to score“ is successful.